It is really difficult to write this post and the terrible news this time around. It took me some time to get used to the thought and the idea that Buddy is no longer with us. Those who knew Buddy could probably go on, and on, and on about all the wonderful things he brought into our lives. All the experiences we all shared. Buddy was such a tremendous part of Fair Oaks’ identity for almost 15 years. Some of the memories that I carry with me about Buddy are small ones: kicking a basketball for him every time I visited Fair Oaks, walking with him in the fields, following him with my camera and capturing adorable and some embarrassing moments. Buddy and Joy were my main photography subjects when I started learning to use my first small SLR camera a few years ago. I remember that the first few years of visiting Fair Oaks, Buddy would jump in my car immediately after I parked and opened the door. It was like he was waiting for me to pick him up. I remember the day when I took Buddy and Joy to a groomer – they were left there for a trim but came back almost completely bald. Till this day, I remember the face of horrified Buddy (and Rick, as well) after that makeover. Buddy loved riding in the car with Rick. It was a special treat for him and he knew it. Buddy also loved riding in the golf cart; even in his very last days, he found a way to go for that very last ride with Rick and Shane. Buddy was such a gracious dog. He was loving and loyal. Gentle and patient. 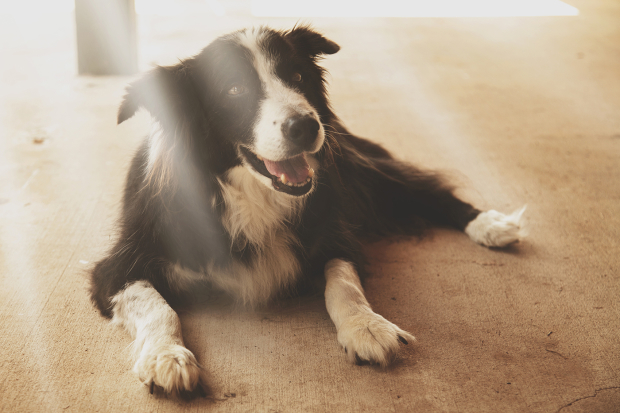 Maybe with one exception – when it came to playing his favorite game, kicking a basketball around the yard, Buddy was like a little puppy – always anxious and full of energy. He sure knew though to be a good example for Shane. He taught Shane to bring pride to Fair Oaks, Rick and all friends of the ranch. Especially now, when I am a dog owner myself, I see how from this terrible loss comes an understanding. And from that, our Buddy leaves a wonderful legacy behind. For so many he made the world a better place. We’re all winners if we go on that walk, take that trip, buy them that Steak ‘n Shake burger. It’s the bestest thing EVER for them, and that look on their face “you got that for ME?” is a memory you’ll carry for a long, long time.